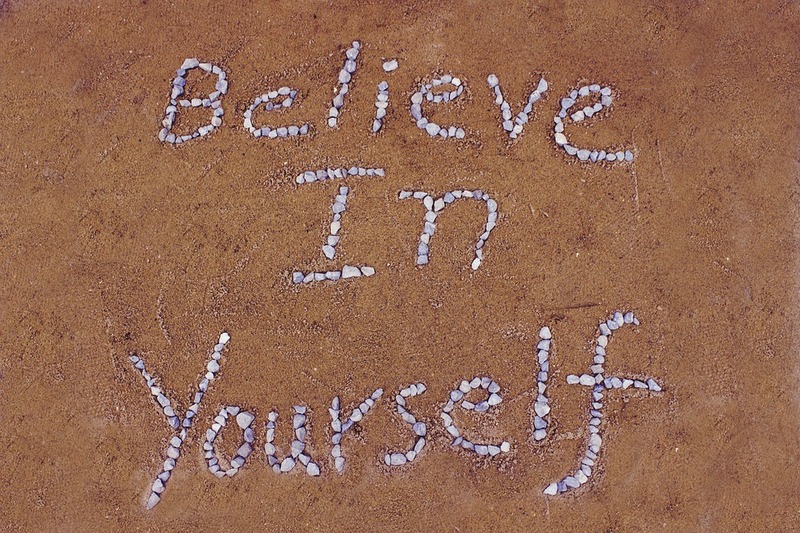 Believing in yourself is essential to ensure success. It’s always surprising when people get involved in self-development and “do” all there is to do in order to get what they want, but sometimes we don’t actually end up with what we want. In fact, sometimes we end up with very little, or nothing at all. We become disillusioned and believe that this self-help stuff just doesn’t work! But that will not empower you, because believing in yourself is an essential requirement for success. A better solution is to learn from the past, self-reflection is a powerful tool. In the field of self-development there are many who believe that if you repeat something often enough, even if you don’t believe it at first, eventually your mind will begin to believe it as the truth and I agree with this way of working. However, this process takes time, and if you have set yourself a goal to achieve something in a few weeks it may not work that quickly. So watch your thoughts, and watch what they do to you internally too. When you think about your goal and you have a small thought of not accomplishing that goal, how does that make you feel? If it brings up fear, doubt or any other negative emotion then acknowledge it, please don’t hide and pretend it isn’t there. Understand that all successful people have failed at something this is what made them successful. 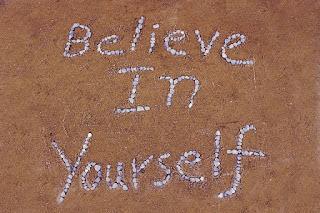 Your belief system shapes who you are, it defines who you will become in life. Stop and take a look at your life right now, what is missing for you, what have you not achieved? Then take a look at your beliefs around what is missing and what you have not achieved. What you will find (in most cases) is that internally you do not believe in your ability to achieve it. As within, so without! This is a great saying and means exactly as I have stated above. If within you, within your belief system you do not believe you can achieve then your outer world, your reality will support that belief. 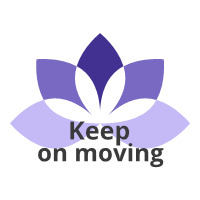 The best thing you can do for yourself is to find a way to interrupt the negative pattern. When you hear the negative voice in your head then stop yourself by shouting “STOP THAT!” Shouting out loud is the best way to do it, but if you are in public and not that self expressed you may just want to “shout” it in your head! Shout really, really loud. “STOP THAT!” Then end with a message such as “ I choose to think and believe in my ability to achieve” Those are my words, try to make up your own, whatever works for you, just remember to keep the sentence positive, and forward thinking. Focus in this sentence on what you WANT not on what you DON’T WANT. When you feed yourself negativity or doubt in your ability then your mind inputs the data like a computer. It does not have the capacity to discern whether what you are saying is the truth or not, or whether you are “just joking”. Your mind has no judgement on what you say it will happily accept it and create a world in which what you say is what you experience. Now that you know that, why would you want to input anything but positive life-affirming messages? "ALSO READ : BELLIEVE IN YOURSELF "
Your emotions are tied to your thoughts. Don’t believe me? Well stop right now and think about a sad event, what does that do to your emotions? Now cancel that and think about a happy event, pick up your emotional state right now. Let's check out this sequence, your thoughts are negative, you don’t believe you can achieve something (you not only think it, but you also speak it “I’m just not very good at that”), this impacts your emotions, so now you don’t believe you can achieve something and you don’t want to try doing it, this in turn impacts your actions, so now you don’t believe you can achieve something, and you don’t want to try doing it, and you do nothing! So now you have shouted “STOP THAT” you are choosing to believe in your ability to create or complete something. You affirm that you may not have all the answers but you believe in your ability to attract the right people and things to support you. You tell yourself that “although in the past I did not believe I was capable of achieving something I have decided to believe that I am capable from this day forward.” Whatever it is you need. Create your own words. What does it do to your emotions just reading that? Begin to feel the spark of belief that you could actually achieve what you have set out to. Now that you have your thoughts and emotions working take action, do something. This is critical. Nothing can work without action. Who do you need to talk to? Who can help you? What first step can you take? Get your mind searching for answers for you. Your mind is a powerful tool. It will help or hinder you depending on the instructions you give it. You have the power and ability to choose at any moment what you feed into your mind. What’s your choice now? All things first originate in the mind. Things and events depend heavily on motivation.